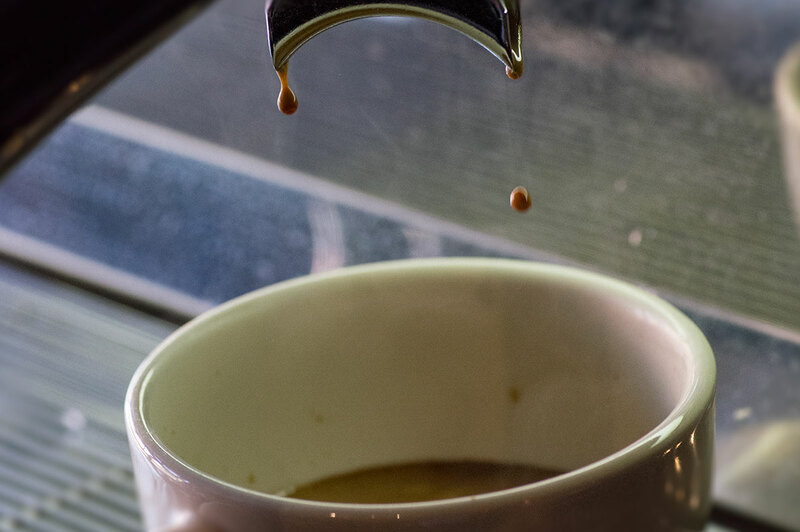 Crema is in our DNA, like the delicate foam atop a promising espresso shot. 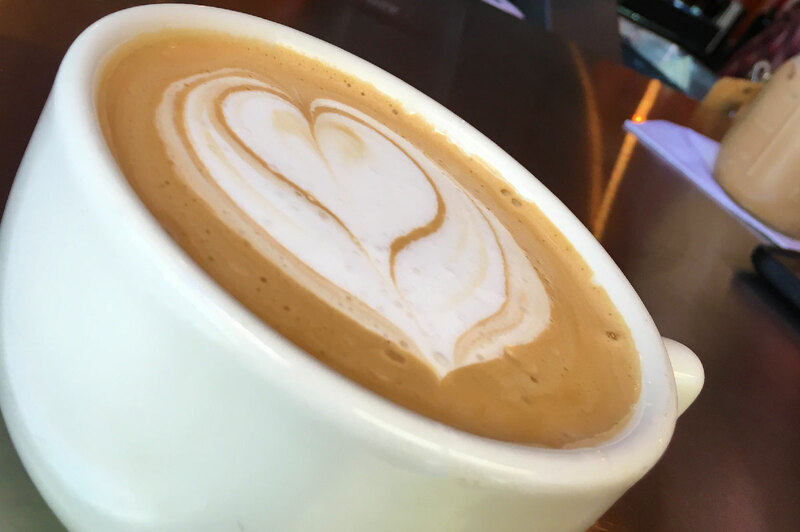 We use locally-based, organic, certified fair trade, coffee roasted by Prescott Coffee Roasters. The sweetened base of gelato is known as crema which we make in small batches, then slowly add the freshest natural ingredients to create classic flavors and try new innovative ones. 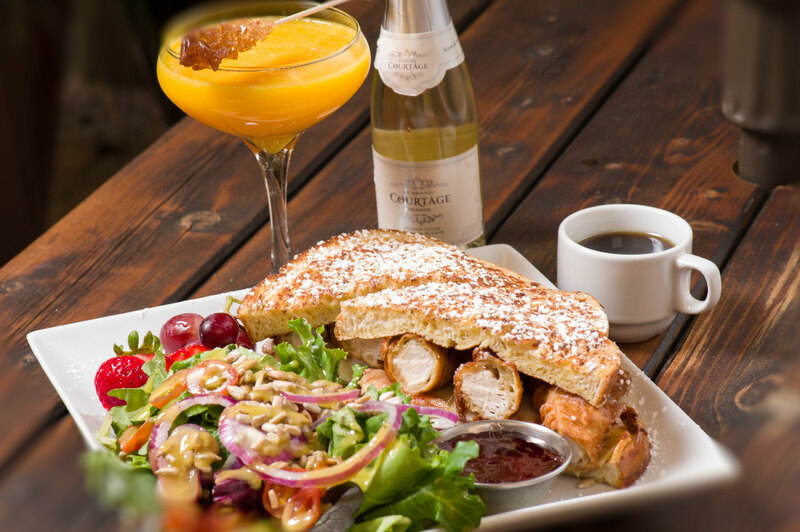 Our produce is sourced locally when possible and many of our items are free of GMO’s and flavors carousel with the season, so enjoy them while they last. 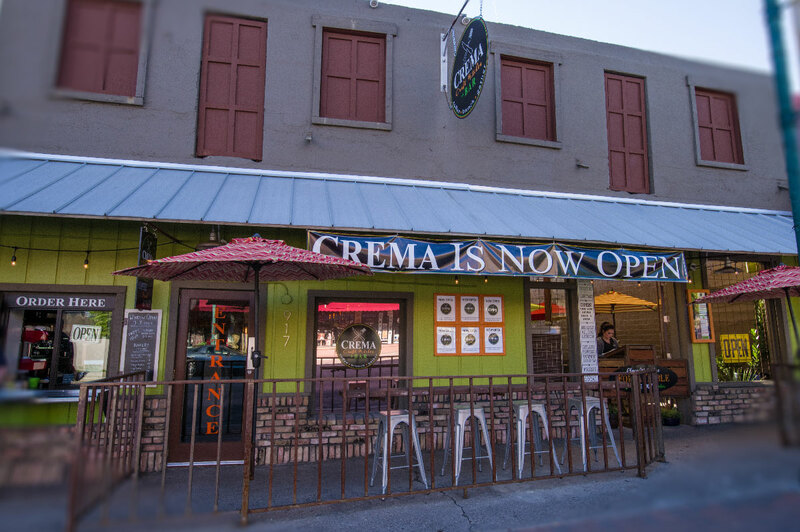 History Lesson: Crema Craft Kitchen & Courtyard is actually two historic buildings. 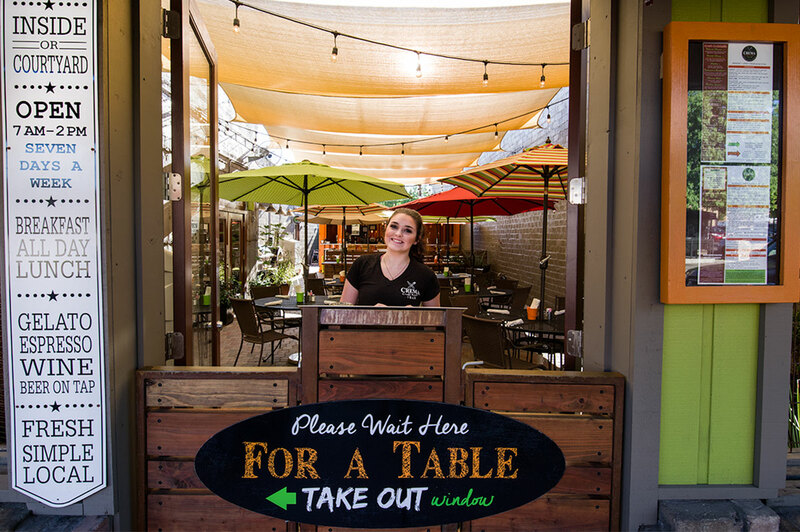 Like much of Historic Old Town, the restaurant and courtyard connect underneath by tunnels once used for bootlegging and other nefarious dealings. Acuna, a known bootlegger, operated from this building during prohibition. The law finally caught up with him more than once. 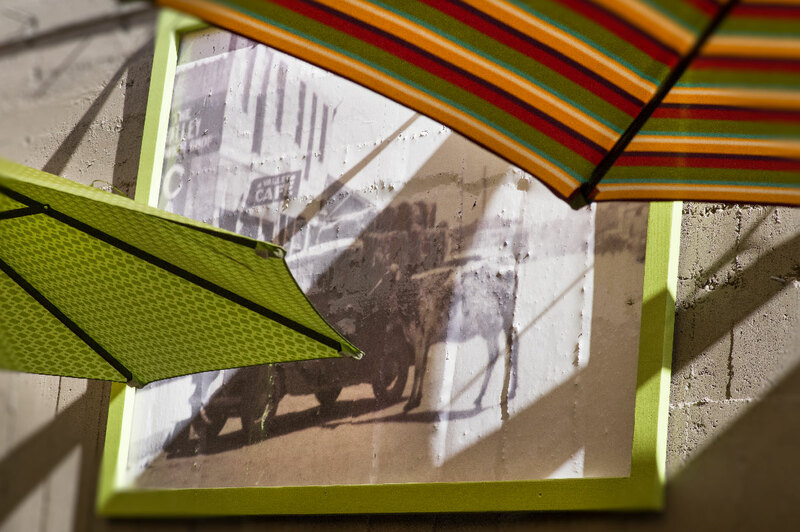 See Crema's origional building mascot in the black and white photo mural outside in the courtyard. Before becoming Crema, Lillian's Sweet Shop was here for more than 20 years. Yes. We have a ghost. She has a mean sweet tooth and a few secrets. 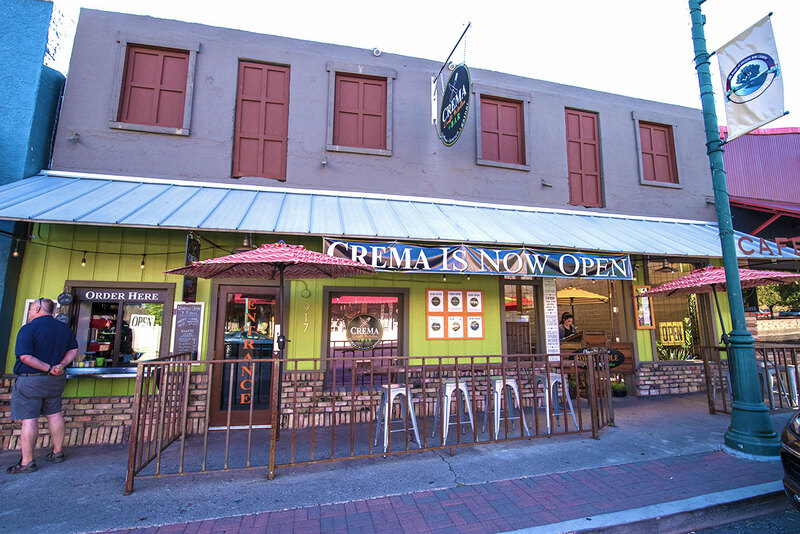 The Crema Cafe was our go-to place for our Tavern Hotel guests to have breakfast and when the prior owners decided they wanted a change in their lives we couldn’t say no. 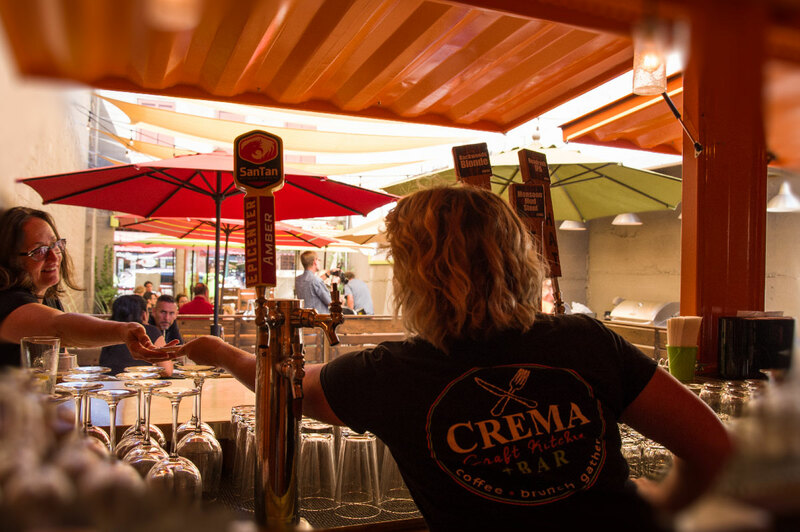 The new Crema Craft Kitchen opened Tuesday August 23, 2016. We are open daily for full service from 7am to 2pm. 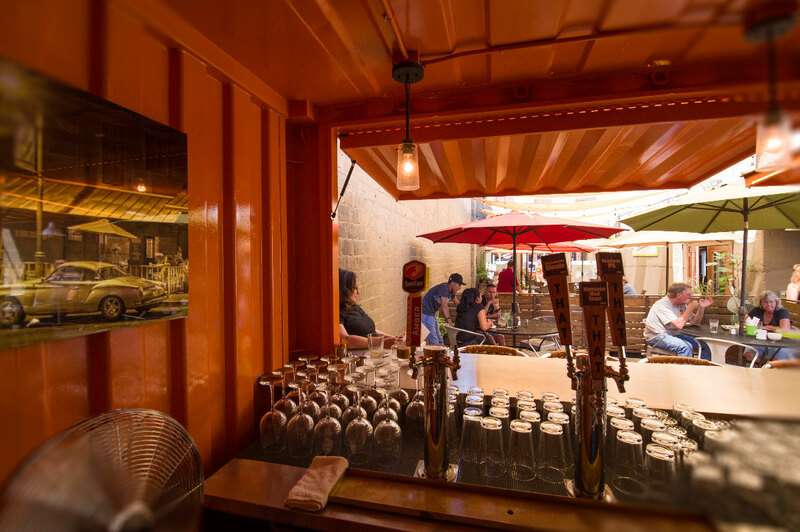 Walk-up window for drinks and pastries open until 3pm daily.